Unfortunately, fantasy is rare in today’s fashion, especially in case of menswear and I forever find most collections drab and to be quite frank – boring no matter the design expertise. However, there’s an exception –and it’s one word with five letters… Marni. 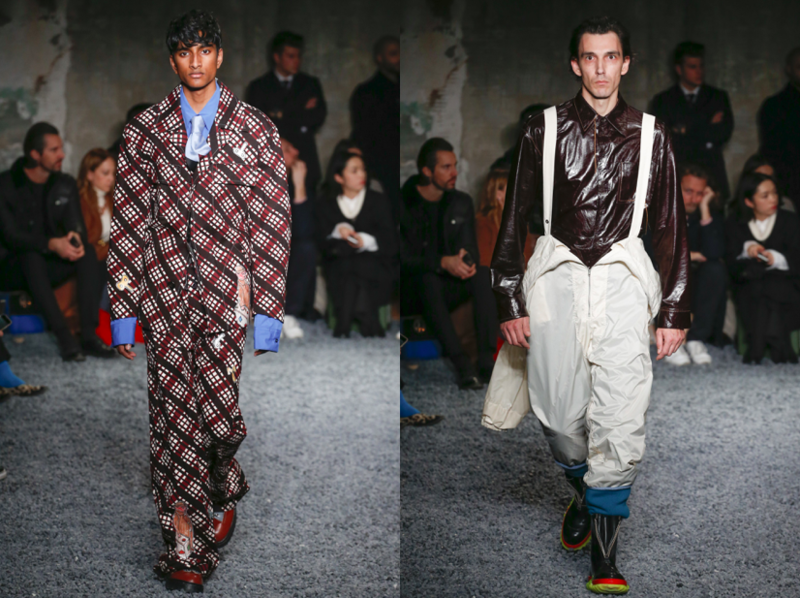 Francesco Risso, Marni‘s creative director doesn’t only convey a certain feeling of escapism in his work, but also makes it look extremely desirable. 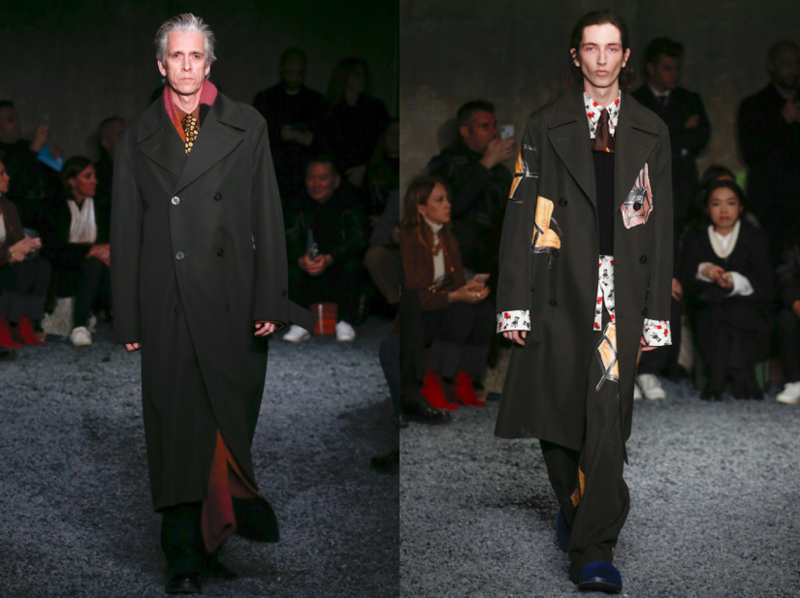 The Marni man’s wardrobe was all about embracing a naive, awe-struck sense of the world, with oversized jackets and trousers with further hand-painted garments. Suits, puffer coats, nylon jumpsuits and anoraks round out the collection. Overcoats, in salmon pink, or blue, look slept in. Blankets do the same tricks. Men, spanning generations, not just youthful, wear talisman around their necks: a string of found trinkets, or a plasticised bear. IN LOVE and if you ask me, I would wear every single piece from the autumn-winter 2018 collection. 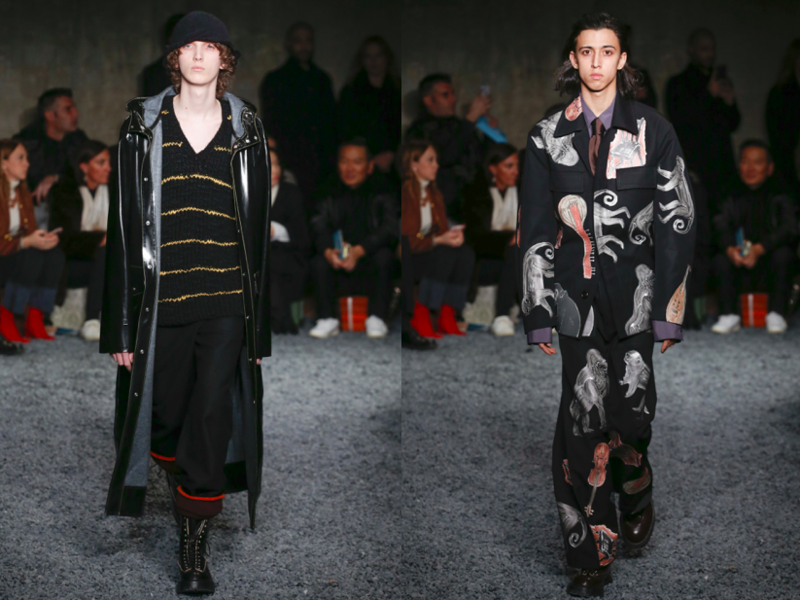 This entry was posted in Menswear, Milan, Trend Reports and tagged Atumn Winter 2018, Francesco Risso, marni, menswear, milan. Bookmark the permalink.